While largely unknown today, Danish writer and Darwin translator Jens Peter Jacobsen was the leading prose writer in Scandinavia in the late nineteenth century and part of a generation that included Henrik Ibsen, Knut Hamsun, and August Strindberg. His novels Marie Grubbe and Niels Lyhne as well as his stories and poems were widely admired by writers such as Rainer Maria Rilke, Thomas Mann, and James Joyce. Despite his untimely death from tuberculosis at the age of thirty-eight, Jacobsen became a cult figure to an entire generation and continues to occupy an important place in Scandinavian cultural history. 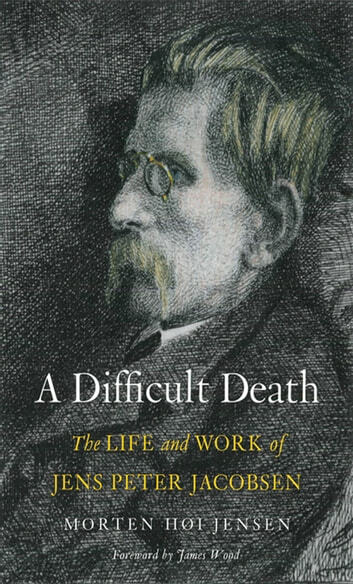 In this book, Morten Høi Jensen gives a moving account of Jacobsen’s life, work, and death: his passionate interest in the natural sciences, his complicated and nuanced attitude to his own atheism, and his painful descent toward an early death. Carefully researched and sympathetically imagined, this is an evocative portrait of one of the most influential and gifted writers of the nineteenth century.